'Silver Strike Bowling' arcade game that mimics ten-pin bowling on a monitor corresponding to a player's trackball control. The game shares similar technology with Golden Tee, an arcade golf game: both are produced by Arlington Heights, Illinois-based Incredible Technologies, Inc. ("IT.") Users may play standard bowling games or, depending on local availability, can select the Vegas Tournament option allowing players to draw cards for each spare and strike in an attempt to produce the best poker hand. 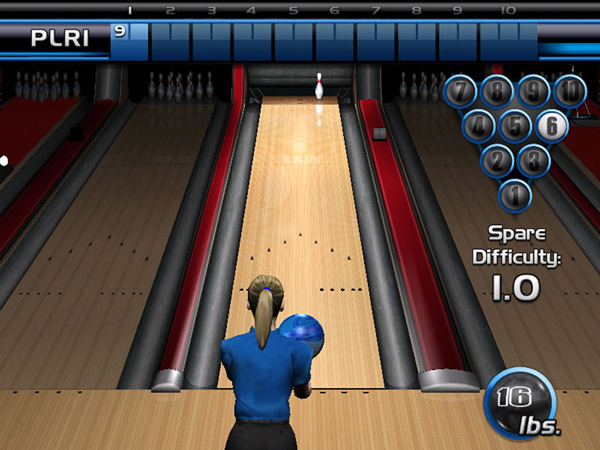 It is an offline version (Unlike the "Bowlers Club" version) that is used at mostly smaller venues along with home units for game rooms. It offers all the same game play without the ability to track stats or win sweepstakes prizes.